Click Export to save your converted MP4 files. 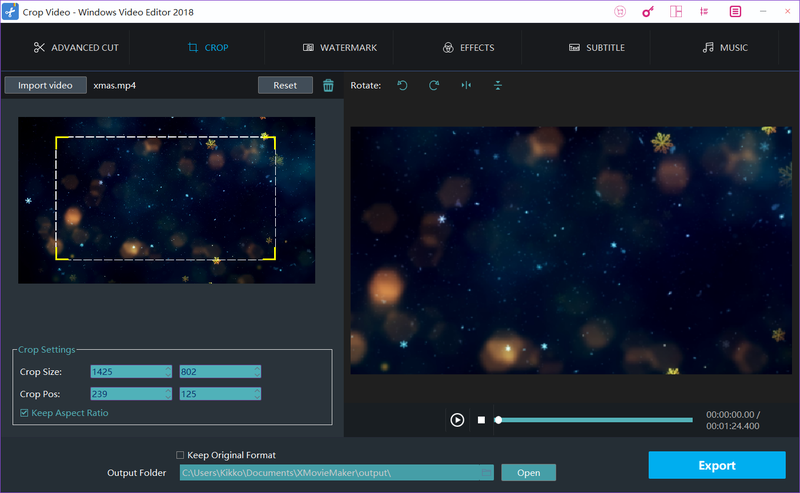 MP4 is a digital multimedia container format most commonly used to store video and audio, but it can also be used to store other data such as subtitles and still images. Like most modern container formats, it allows streaming over the Internet. Crop is to cut off the sides of an video to make it the proper size or to remove unwanted parts. Step 1: Add the mp4 file.  Using windows video editor tool,select "crop" icon.After the workspace is opening.Click "+" to import one mp4 video file. Step 2: Drag to crop mp4 . Adjust the crop area in the left or dragging the crop line directly.And you can select "keep Aspect Ratio"
Step 3: Preview and enhance video . Click "Play" button to preview,you may also cut or rotate the video, or add effects, watermark or subtitle to the video at the same time. Step 4: Click Export to save your converted MP4 files..
Windows Video Editor Tool is smooth, fast, and easy to use. 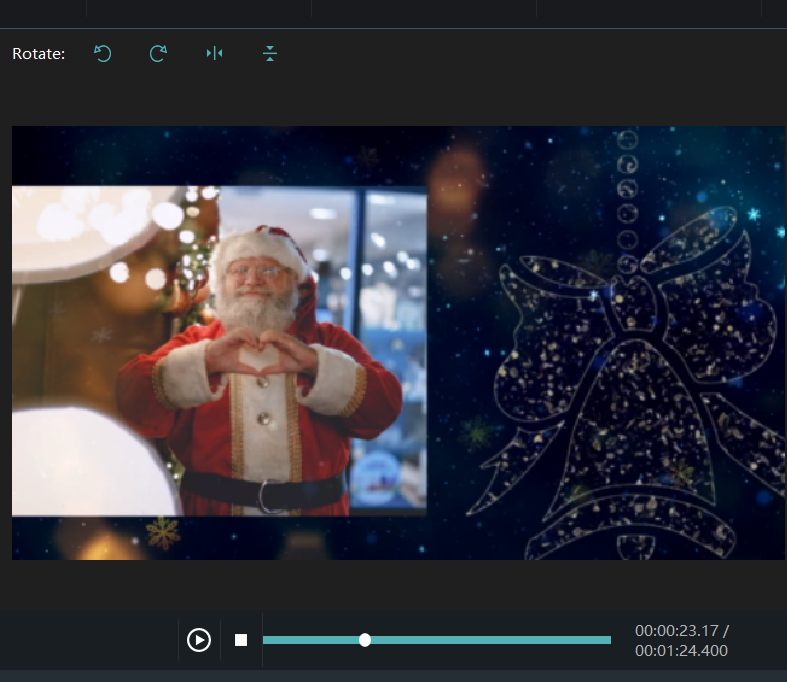 The program comes packed with an array of additional features and functions, edited movies,cut and join video clips , apply stylish video effects and filters, add music, titles, and with movie templates.